The motto of TED&mdash;ideas worth spreading&mdash;appropriately encapsulates the value behind these talks for your classroom. By bringing together the best and brightest in a broad spectrum of fields, TED helps us pause and listen to the percolation of ideas in fields we may know little about like art, engineering, technology, music, and more. TED talks are less about the absolute dissemination of information on a subject and more about their potential to incite a classroom conversion through the diverse voices and questions that TED talks raise. You’ll find that speakers cover topics through broad strokes as opposed to parsing through subject matter in-depth (like you would see in Khan Academy or LearnZillion videos, for example). For that reason, the talks are not necessarily the best for preparing for the next standardized test, but they are perfect to help get students thinking critically. So what are some ways that you can use TED talks in your classroom? In the list below you will find sample TED Talks and embedded discussion questions to help guide class time. 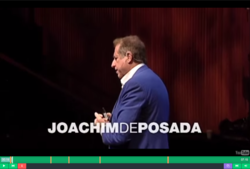 In this classic TED Talk, Don’t Eat the Marshmallow, Joachim de Pasada discusses the importance of self control and its strong correlation with success later in life. Discussion questions, embedded into the video, on students’ perceptions of self control help evolve their understanding of the trait. 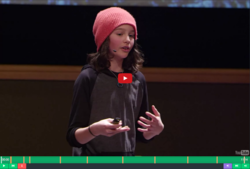 Logan LaPlante, a 13-year-old boy in Nevada, discusses how schooling and education is really completely in the hands of each learner. By “hackschooling” your own education, you are on your way to being happy and healthy. 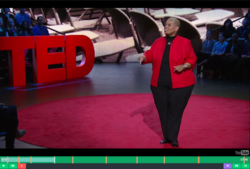 This TED talk is perfect for back-to-school time to help establish your classroom culture. Who doesn’t want to improve their memory? 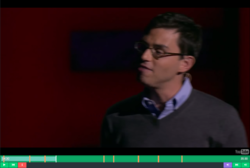 In this TED Talk, science writer Joshua Foer provides techniques to make an average person on par with the best at memory. You will notice that the embedded questions ensure listening comprehension. 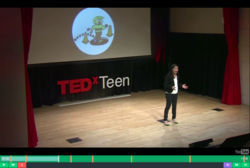 In this talk Angela Zhang, a high school senior discusses her love of science and math. Angela does a great job of demonstrating the potential of STEM subjects and provides strategies to make seemingly impossible science questions solvable. While TED talks rarely do a deep dive into the topics of a standard K12 curriculum, TED-Ed original videos cover a variety of classic classroom learning objectives. 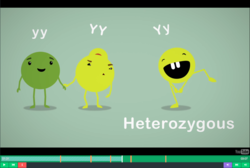 For instance, this animated short explains Mendelian inheritance based on his experiment. For more infomration on eduCanon, visit us on Twitter at @educanon123.